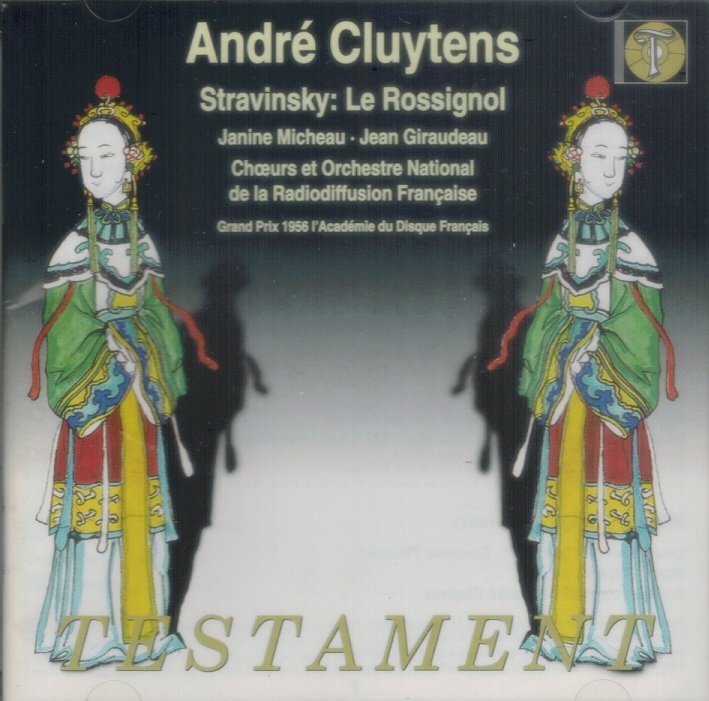 "Stravinsky's short, charming opera LE ROSSIGNOL is rarely performed or recorded. 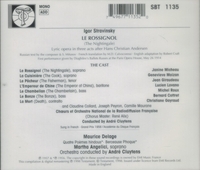 THE NIGHTINGALE (Le rossignol) is a Russian conte lyrique in three acts by Igor Stravinsky. The libretto, based on the tale of THE NIGHTINGALE by Hans Christian Andersen, was written by the composer and Stepan Mitussov. It was first performed on 26 May 1914 by the Ballets Russes at the Palais Garnier in Paris. Stravinsky had begun work on the opera in 1908, but put it aside for several years after he had received the commission from Sergei Diaghilev for the ballet THE FIREBIRD. He completed it in 1914, after he had completed his other two major ballets for Diaghilev, PETRUSHKA and THE RITE OF SPRING. Because the time between the writing of the first and second acts extended over six years, stylistically the work reflects Stravinsky's significantly changed approach to composition, and this can clearly be detected when performances are given. Stravinsky subsequently turned aside from large productions to concentrate on chamber music and the piano. For the opera's premiere, the singers were in the pit and their roles were mimed and danced on stage. The mise-en-scène was by Alexandre Benois (who also designed the sets and costumes) and Alexandre Sanine, and the choreography by Boris Romanov. 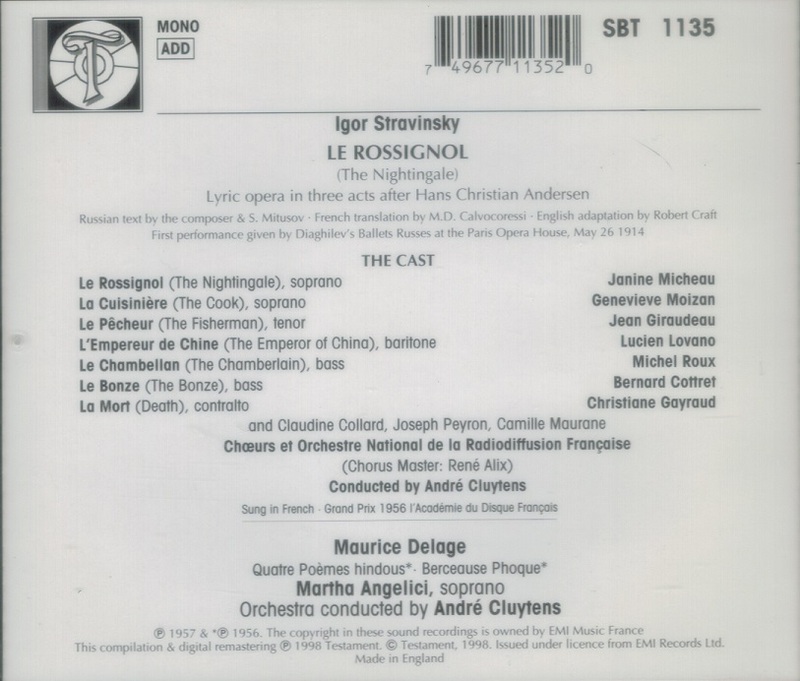 Stravinsky later prepared a symphonic poem, LE CHANT DU ROSSIGNOL (The Song of the Nightingale), using music from the opera, in 1917, as a separate concert work.